Women from every nook and corner of the world love henna art but for Indian women, it is more than an art. It is an important beauty-integration of their vanity-box. Thus, they infuse epitome of their creativity in mehndi-designing to make it more adorable. Rajsthani Mehndi designs are one of the finest examples of creative instinct of Indian women. 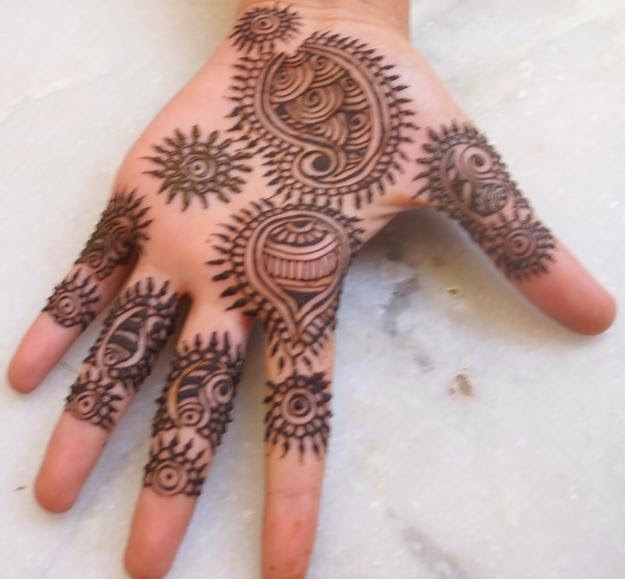 These henna patterns are not only attractive but also rare to find. 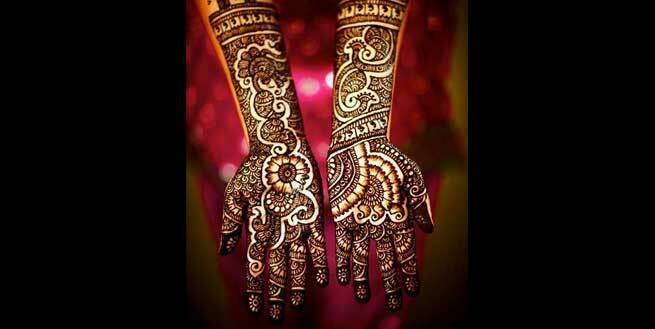 Have a look on some of the most uncommon and unseen Rajsthani Henna Patterns. 1. Spread from finger tip to elbow joints, this Rajsthani mehndi comprises almost every good-luck sign of Hindu myths. Best suited for a bride’s hand, this henna pattern looks amazing with its striking motifs and those lovable elephants make it unique. 2. A typical Rajsthani Mehndi completely fills your hand. This dulha-dulhan mehndi design does the same. But portrayal of musical instruments and musician in the design makes this pattern different. 3. A Rajsthani pattern in an Arabic flavor! This mehndi design is made of authentic rajsthani motifs but the style of henna-application is Arabic. Such mix is rare to find else-where. 4. 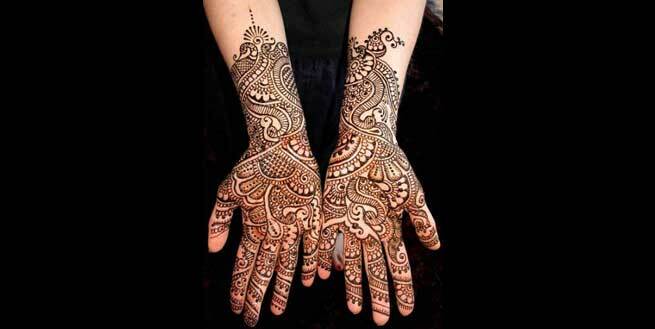 Alike previous design, this henna design too has essence of some other culture. 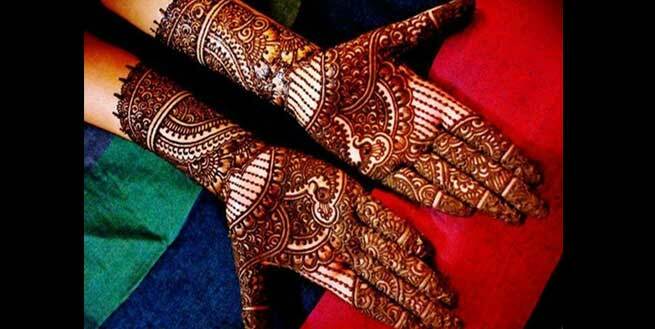 This Rajsthani styles henna is applied in Pakistani manner on hand. 5. Geometrical patterns are an important style of Rajsthani mehndi design. In this mehndi design, artist has made the Rajsthani henna pattern richer and exceptional by adding Arabian tones to it. And, that is its USP. 6. Chessboard, peacock motifs and many more. This henna design is purely Rajsthani but it gives a Pakistan reflection. 7. You’ll adore the way how peacocks are chirping in this mehndi design. Although, peacock motif is quiet popular in Rajsthani henna patterns but the way the nation bird has found place in this bridal henna adornment, it is really special and different. 8. Amalgamation of dots and intricate Rajsthani patterns make this design simple, exquisite and one of its types. 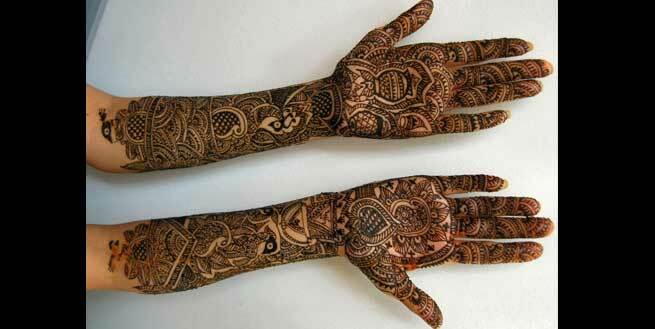 Go for this design, if you want beautiful and distinctive henna designing in your marriage. 9. This design for feet is wonderful! Such filling henna pattern for legs is difficult to find in other mehndi designing styles. 10. Rajsthani Henna motifs in Mediterranean style! This intricate Rajsthani mehndi looks superb with ‘OM’ being crafted in the centre.